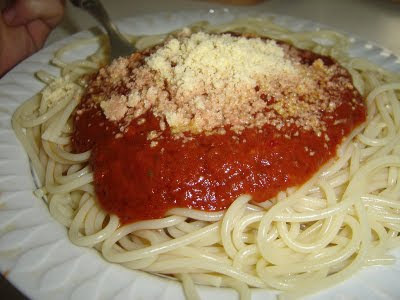 Discription:This is an easy spaghetti or pasta sauce recipe from Italian cuisine. You may use cornstarch in the end to get the desired thickness of sauce. In the sauce pan heat oil to saute onions and green pepper for 3-4 mins until become tender. Now add tomatoes, jalapeno, brown sugar, Italian seasoning, salt, pepper and water. Cook for 4-5 mins until sauce would become thick. Pour this sauce on the hot pasta and sprinkle Parmesan cheese on top.